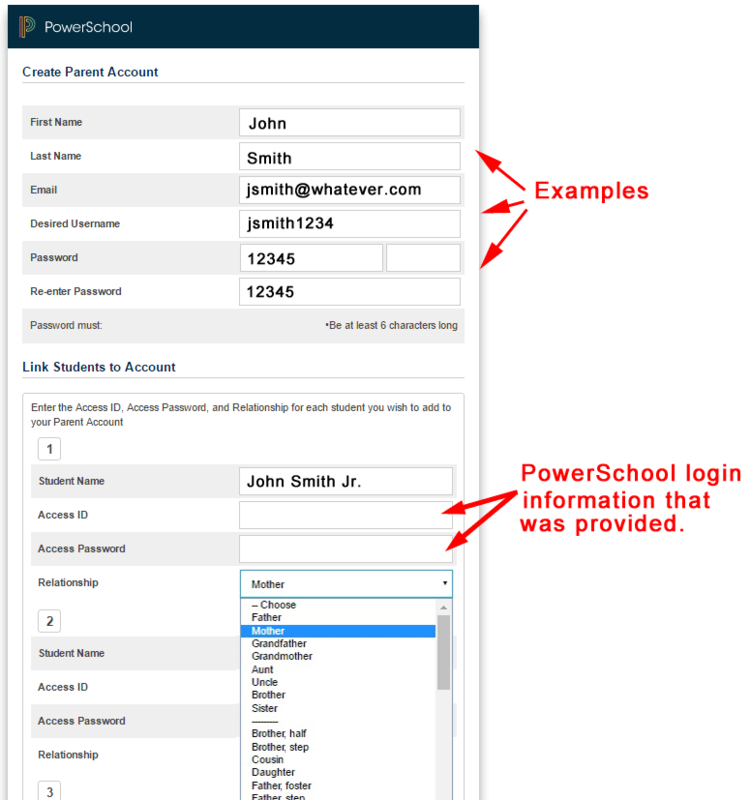 PowerSchool has been updated to provide parents with a “single sign-on” for your children. You will have to “Create a Parent Account” to access your child’s PowerSchool information. 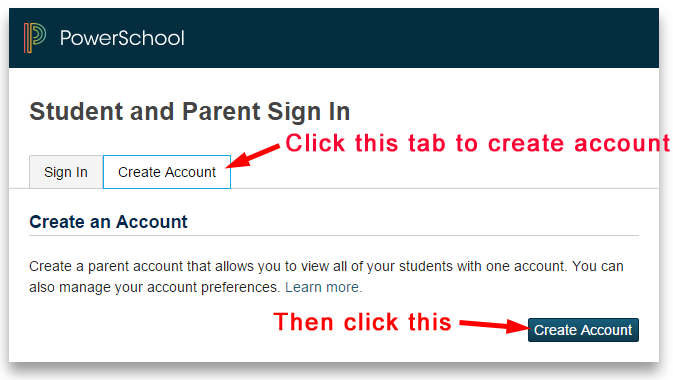 Once you have created a parent account you will be able to access your child’s PowerSchool information from the main Parent login screen. Please follow the instructions below. You will then have to complete the “Create Parent Account” screen below. The “Access ID” and “Access Password” are from the login’s you are already using. Once you finish creating your new parent login go back to the initial screen and you will now be able to login with your newly created Parent Login from now on.